The chaos of the battlefield is a halting experience. Bullets and explosions leave charred ash and shattered remnants of once-whole objects scattered through the hallways and streets. In the near distance, the sounds of more fighting, more explosions, more bullets, and more anguished death cries are just a few steps away. That brief second of hesitation before hurling once more into the breach is likely to be the death rattle of rational thinking. Over the cover, or around the corner, are centuries of lifetimes worth of death coalescing into tight clusters of apocalypse. Rockets, bombs, lasers, and bullets hammering in all directions from all directions, arrays of colors splashing into reality—and holding fast even through closed eyelids—is all that there is in this small stretch of land. In mere moments, life can be ripped violently away. The thing that gets left behind is full of holes, spilling blood over the cobblestones, and a trauma to stain both the concrete and the psyche of those left behind. Perhaps going through the direct line of fire wasn’t the best choice for Mercy. Her cry of anguish bookends that former life’s journey into darkness, mingling with the smoke and debris of shattered homes. From the smoke, a call to battle rings out, and a joyous “Lucio’s comin’ at ya!” accompanies the doppler arrival of electronica. Overwatch is a dualistic experience. A team and hero-based cooperative multiplayer shooter from Blizzard, the game can be characterized by cheery vocal calls and bright colors. They are, however, are used to represent a fairly shattered, challenging world. Overwatch, a global paramilitary organization, was dismantled after violence broke out within its ranks, seemingly killing its senior members and with allegations of a host of misappropriations of funds, wrongdoing, and general woe. The signing of Overwatch’s Petras Act betrayed a lot of uncertainty about the authoritative group, and although it was an organization that managed to halt a global crisis and war, it was shuttered by the world’s United Nations. It’s an example of how even the things built and executed on the best intentions can lead down a road of regret. It is, however, a road still walked. Overwatch, regrouped and run as a criminal organization, stands against the forces of darkness wherever they feel they’re most needed. Unlike before, though, Overwatch stands without oversight, endeavours without checks and balances, and the lack of oversight means that the organization has no restraints if it were to go off the rails. It is an Overwatch of criminals, even if it isn’t one of villains. 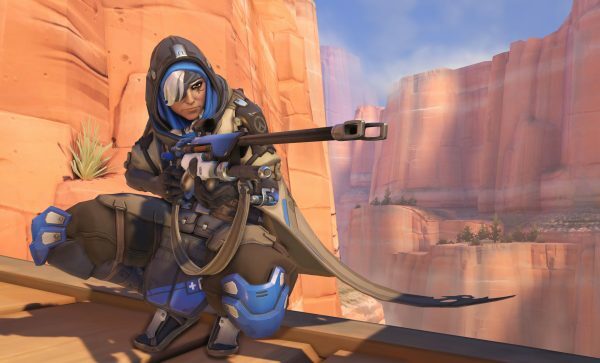 “Overwatch was shut down for a reason,” Mercy says on occasion during the heroes’ vigilante missions, “maybe it’s best it stay that way.” The world that signed the Petras Act is a world that decided that Overwatch did not have the right answers. The potential threats outweighed the potential benefits. Taken on a less global scale, though, the idea similarly bears out over the course of any given Overwatch match. 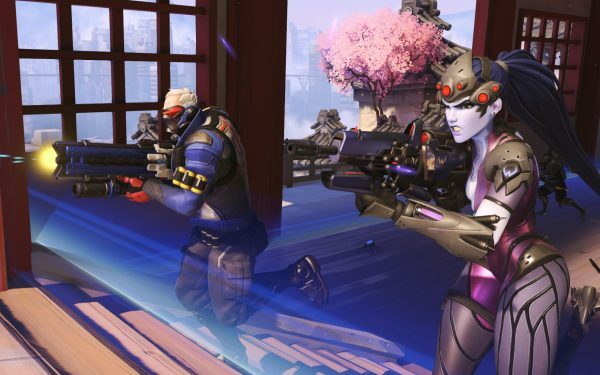 Team composition and a decent understanding of the competitive scene’s meta are a seemingly inescapable part of joining the game’s Competitive game mode. Quick play, though much less stringent than its Competitive cousin, still necessitates at least a somewhat basic understanding of mechanics in order to bring about a victory. Although there’s room to wiggle, an obviously poor choice of hero will draw ire and impatience from players on the team. The unrelenting fire of weaponry will quickly, and viciously, slaughter any Mercy foolish enough to dash through the line of fire. Although Mercy’s ability to both sustain and restore life on a wide scale is very often the key to surviving a well-coordinated assault against the entire team, Mercy needs a team that can run interference and defense should she ever find herself in an enemy’s crosshairs. A clever, sneaking flank from a Tracer or Genji will certainly have an opportunity to offset a well-entrenched position, but switching heroes and executing near-perfect sequences of stealth and action will often only create a hole through which the rest of the team can pour. If the team is not on board with an impromptu surprise attack, the push will only temporarily offset an entrenched team, and rarely for long enough to have a wide-reaching impact on the battlefield. Most times, it will just result in whatever gap the previous hero was covering going uncovered; the team’s difficulties are changed, but remain unsurmounted. A potent ability and good reflexes from a single hero often aren’t enough to save a game from going wrong. Which reflects the larger narrative of Overwatch in a way. “There are no singular right answers” seems to be the general theme running through the history of the Overwatch organization, and the same criticisms remain unaddressed even during missions. Heroes bluster, they do their best, but they have no right answers. No real, perfect, solving insights. Even the best player in the game, playing their best character, in the best possible circumstances cannot turn the tide of battle entirely by themselves. That idea, thought about apart from the actual mechanics of the cheery, colorful, deadly battlegrounds of Overwatch’s various field bases, proves that even in the best hands—even with the best intentions—no one hero can singularly be the right answer to either the battle or the war. No man, woman, or omnic an island, as it were. This idea, which is never addressed by the narrative events that makes up the organization’s history, is perhaps resolved in part by heroes such as Mercy, who question the value of a group of heroes operating as they do. Perhaps it is best addressed by those like Winston, who believe that the world is made great by making great strides toward improvement. Perhaps judicious use of authoritative power is what the world needs to reach its pinnacle, as represented by Symmetra and the Vishkar corporation. Perhaps the world will be saved by those like Lucio and Soldier: 76, whose technologies were stolen to be used for the good of those who need it. None of these answers, individually, have ever seemed to be the right ones. 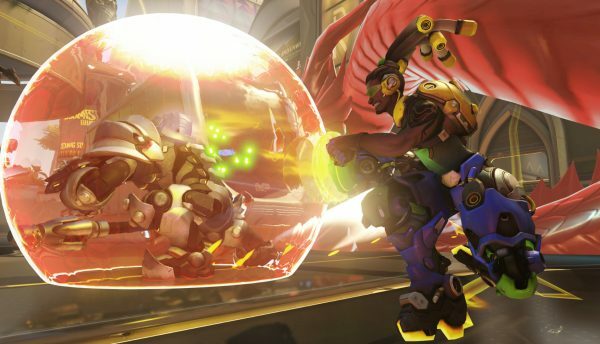 Together, though, perhaps they could make it work, and the second coming of Overwatch’s heroes may be exactly what the world needs.